I've been having a passion for traveling since I was little. I love being able to explore new places, new people, enjoy new food while also bringing the familiar of home with me. I wish I had this backpack when I took my trip to Italy last summer. It's truly one that really has everything I need. 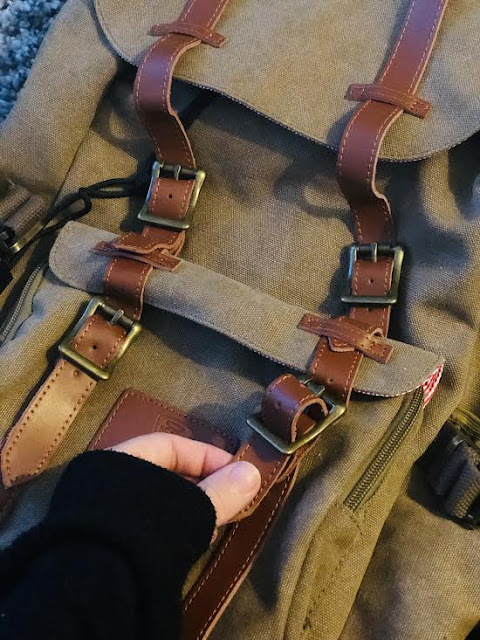 When American Shields reached out to me and asked me to chat about their new backpack, I knew it was the backpack for me. I love the flap, press stud and drawstring opening. There's a small 15" laptop compartment which is perfect for a blogger like me who always take her laptop with her everywhere. 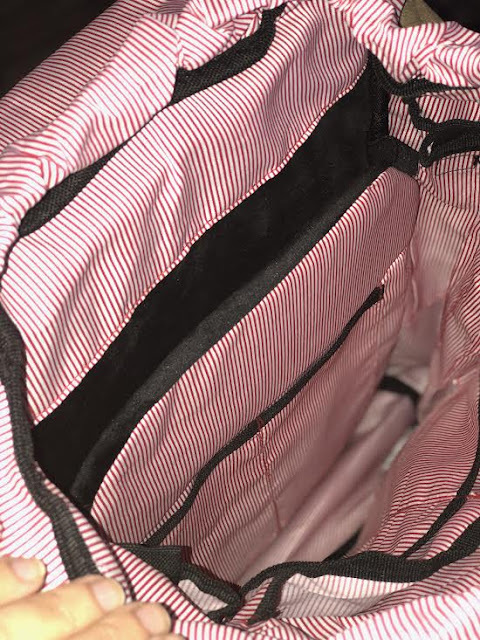 I also love the 9 smaller pockets and the 2 external side pockets to put a water bottle, snacks and headphones in them. American Shield is a fashion backpack brand that just released Granite 25 series. They are extremely lightweight and durable, has so many pockets and perfect for traveling on the go like I love to do. They have a variety of colors such as black, brown, coffee ( the one I have ) and green. If you're looking for a great on the go backpack, I'm also giving you a 20% off coupon to use at checkout: AMESHIELD8020 ! What are you must have things to take with you when traveling? I love that these backpacks are durable, lightweight and come in a variety of pretty colors. When traveling, I must have my reading tablet and my smart phone. Backpacks are so handy when traveling. Can be carried so easily and holds so much. Easy to store in the over head bins as well. I love how stylish and effective this backpack is. It looks great, and it has so much space! It's a winner. This looks really similar to one we have here actually. 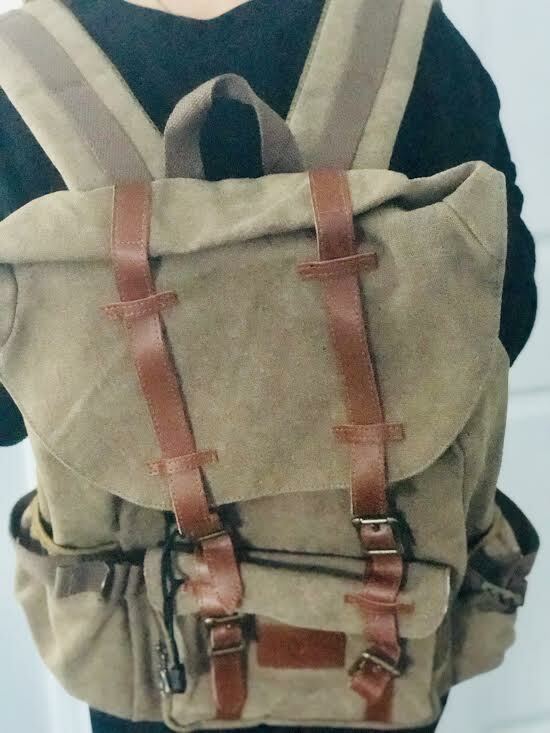 This is a great looking backpack and I like the soft padded compartments for computers etc. That is just smart. That sounds like an awesome backpack. We have a bunch of trips coming up this summer and I woul love one of these. That's awesome! Definitely looks great for travel- this would hold so much! This looks like a great backpack. I always travel with a backpack. It's so easy! I need to get this one. This backpack is awesome. It looks like it has so much space. I would love to have this as my travel bag. This looks like the perfect backpack. I must have lots of compartments and this one certainly does. For Christmas I actually got a backpack that is specifically for traveling. It looks a lot like this so I cannot wait to use it. Having a great backpack is really important for school or traveling. This one looks perfect for college students or frequent fliers. This is such a great backpack. I need to get a new one soon. I've been wanting to get a backpack for traveling, but with so many options it's been hard to pick one that I truely love. Love that this one has a compartment for a laptop and 9 smaller pocket. I don't want to have to dig at the bottom of a backpack for items and with 9 pockets, that makes it easy to organize inside. Thanks for sharing! This looks like a great backpack! In addition to looking great, I think the striped fabric would help to make it easier to find things too. I love that heavy canvas. The striped lining is adorable. It's a cute backpack that I would gladly travel with. This looks like a great travel backpack! I will keep this in mind the next time I travel! What a great backpack. I love the texture and look and would be a great asset to my hiking adventures for sure. When I was single, I love carrying backpacks when I travel. This looks so nice. I love to carry back packs for traveling! Love that this one is so durable. I love that this backpack has so much room! I'm the type of person that can wear any bag down pretty quickly so the fact that this is stylish and durable is a major plus in my book. I love that are stylish, durable, and practical. This bag looks like it hits all those marks! I travel a lot and am always looking for products that make traveling easier.